American photographer. Born April 27, 1956, in Ann Arbor Michigan. Raised in Urbana Illinois. Educated At Brooks Institute of Photography (BS), majoring in commercial photography and University of Missouri Columbia (BJ) majoring in photojournalism. Worked in editorial, corporate, motion picture, television, and adventure projects. 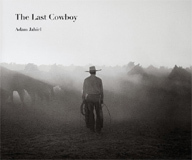 Adam's personal B&amp;;W fine-art work on the Great Basin Cowboy has found its way into photo-galleries and private collections.